Industrial water consumption can threaten local populations’ access to water. 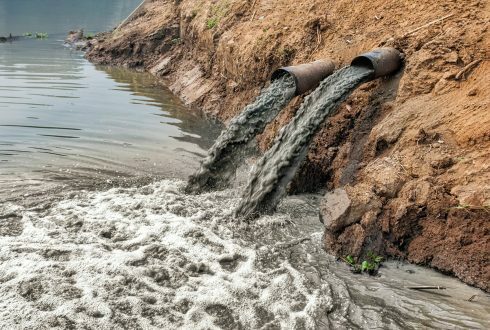 Besides that, ground and surface water may be polluted by wastewater from manufacturing processes. This affects the quantity and quality of drinking water as well as ecosystems and people’s livelihoods. We welcome you to a second, but independent, seminar on the theme of business and human rights that was first introduced at “Connecting the dots”. This time, the focus will be on how local communities’ access to clean water may be affected by company activities and how water risks can be addressed. We will present different cases – among others based on the recently released report “To the last drop” – and introduce the most central guidelines for the private sector to engage and improve their strategies such as the UN Guiding Principles on Business and Human Rights (UNGP). After the seminar you are very welcome to have some “glögg” (Swedish mulled wine) and mingle. * Based on the report with the same name in which Diakonia and Swedwatch present findings from an investigation on the water-related human rights risks associated with the production of agricultural goods. It focuses on the Ica valley in Peru and analyses how these risks are addressed by seven Swedish companies buying fresh vegetables, such as green asparagus, from the area. Recommendations focus on strengthening the Human Rights Due Diligence Process in accordance with the UNGPs. The presentation will start with a short documentary (in Swedish).